re volve - carbon wakeboard "I think we'll understand each other" It was quite a challenge to construct a hybrid carbon wakeboard. 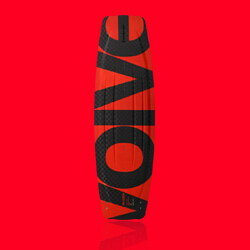 Re volve has a stiffer flex thanks to the carbon reinforcements. It makes your life much easier during hard landings. The longitudinal channels and 20mm fins keep the direction at a high speed. A very energetic boat board that loves the high jumps, speed and instant pop off the wake. Let´s not forget about its wake park potential brought by the diamond park base and removable fins. Thanks to the tougher design, it pops like crazy and offers support for landings from bigger kickers. Balanced flexing of the tips allows you to lock into presses by riding rails. Re volve is definitely the universal wakeboard bringing the best from both worlds. "I think we'll understand each other"
It was quite a challenge to construct a hybrid carbon wakeboard. Re volve has a stiffer flex thanks to the carbon reinforcements. It makes your life much easier during hard landings. The longitudinal channels and 20mm fins keep the direction at a high speed. A very energetic boat board that loves the high jumps, speed and instant pop off the wake. Let´s not forget about its wake park potential brought by the diamond park base and removable fins. Thanks to the tougher design, it pops like crazy and offers support for landings from bigger kickers. Balanced flexing of the tips allows you to lock into presses by riding rails. 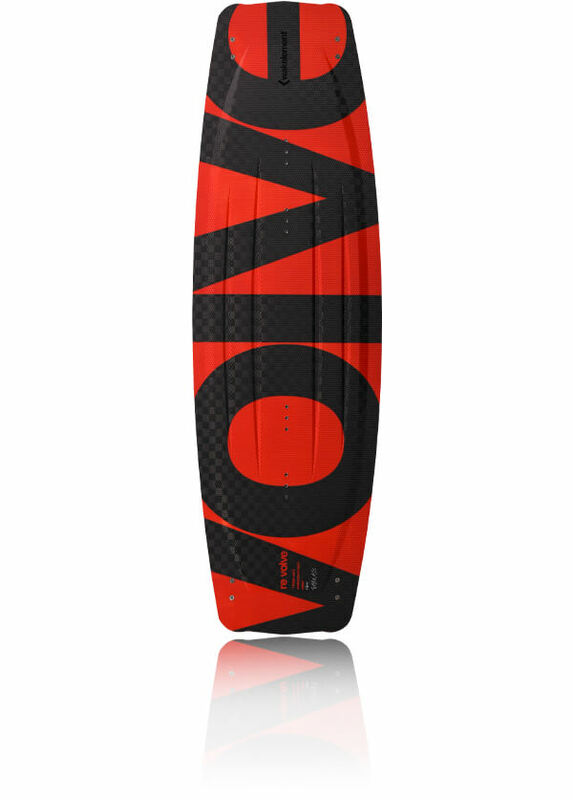 Re volve is definitely the universal wakeboard bringing the best from both worlds. Carbon reinfomrcement, highly resistant foil coating, diamond park base, polyurethane side walls and 3D profiling – these are some of the many benefits of the re volve wakeboard. Highly resistant CNC-shaped fins from G10 material come in 20mm and are the ideal choice when following the direction at a high speed. Re volve comes in three sizes, is suitable for beginners as well as pros suitable for all weight categories of wakeboarders.